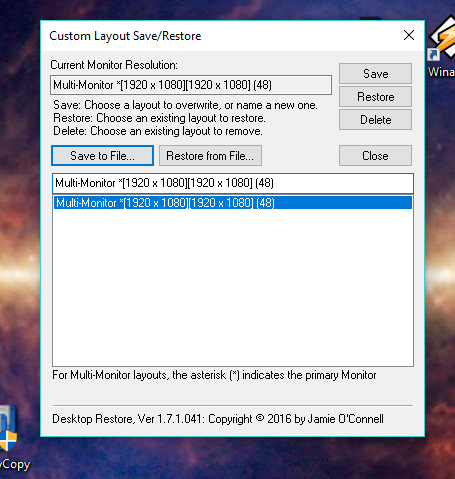 "I wrote this program after severe frustration of having my layout trashed every time I switched screen resolutions. Sometimes other programs will switch screen size and trash your layout as well. This program is an answer to this problem, and I thought other people might find it useful too." 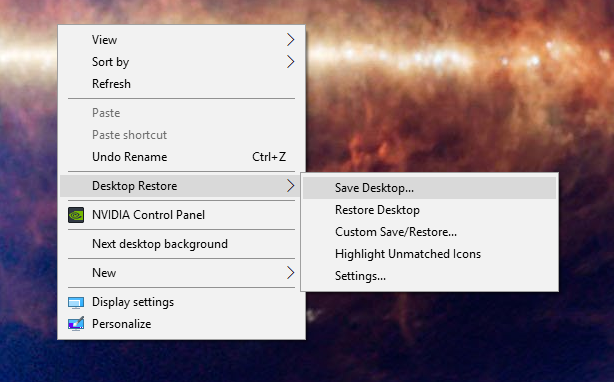 TIP: Even with Desktop restore installed, does Windows seem to scramble your icons now every time you reboot, or press F5 to refresh? 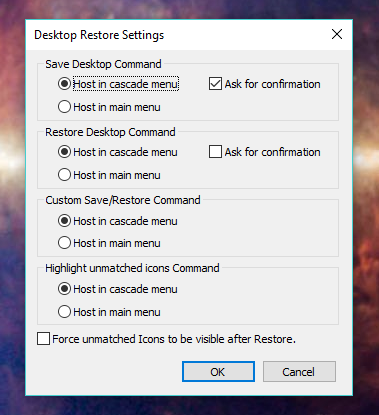 If so, after you restore your icons the way you want them, manually move one icon a space or two over and then move it back. After that Windows should remember their placement for a much longer time. 160 327 Jamie O'Connell <img src="https://www.oldergeeks.com/downloads/gallery/thumbs/DesktopRestore1_th.png"border="0"> Feb 11, 2019 - 12:16 1.7.1 612.2KB EXE , out of 1 Votes.